Doral Bank, a New York City-based thrift subsidiary of Doral Financial Corporation, wanted to launch an internet banking division, Doral Bank Direct. 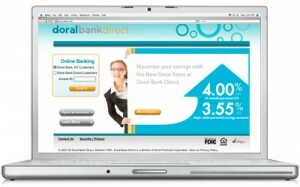 Doral Bank’s new state-of-the-art Internet banking site offers a full range of loans and FDIC insured deposit products. Doral Bank will now be able to capitalize on its strategic value to further move its business franchise into new growth opportunities, consistent with its strategy to become a community bank offering a wide array of products and services. With the well-regarded Doral brand, Doral Bank Direct is well positioned to attract deposits, enhance our market presence in our target markets and build the institution. With the recent restructuring in Doral Bank it was priority to the financial institution that Doral Bank Direct be completed and ready for launch by the September season. With the announcement of the official launch planned with to coincide with news about other recently completed transactions, it was critical that the launch would go off without a hitch. Atelier Design Group was chosen to over see the task of the site design as well as the constant overview and creative direction of the other companies involved with delivering components for the site. The past advertising and marketing communications experience Doral Financial Corp’s management had with Atelier Design Group ensured them that the project would be completed as promised. Inspired by the simplicity of some of the leading young online only banking models, Atelier’s creative team put together a scope for the project that Doral’s senior management agreed with from the start. The premise was to keep it simple. Meaning, let the user open an online account in the securest, easiest and quickest way possible while making the experience a pleasure. Second to the simplicity of the site was the attention grabbing brand design. Bold and catchy colors would engage customers both familiar and new to the Doral brand and set the online bank apart from its competition. To accomplish this extensive research and testing was used. In the end a on-click system was chosen as being the most direct and effective method. At any given page the user is allowed a choice which launches them into the next series of choices. 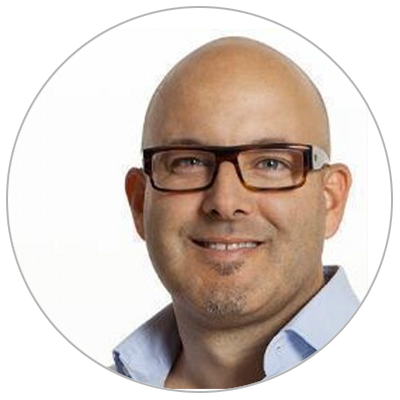 This has proven a clear and transparent method for capturing customers and deposits. Doral Bank Direct successfully achieved the client’s initial and ongoing goal to drive traffic and deposits to their new online brand extension.